…and the AIC kids have done us proud! Earlier this month, AIC students and staff logged into an online portal with breathless anticipation to check the results of standard 10 board exams. For those unfamiliar with the Indian education system, board exams are secondary school completion exams that are taken after grade 10. The scores from these exams are extremely important in determining eligibility for junior college, university, and other higher education opportunities, hence we take them pretty seriously here at AIC. AIC’s first student took the 10th standard board exams in 2009 and subsequently became the first member of the Waghri community to have completed secondary school. Since 2009, over 30 more AIC children have taken and passed their 10th standard board exams! This year was our biggest test yet, however, with a total of 21 Residential and Education Program children appearing for the standard 10 board exams. 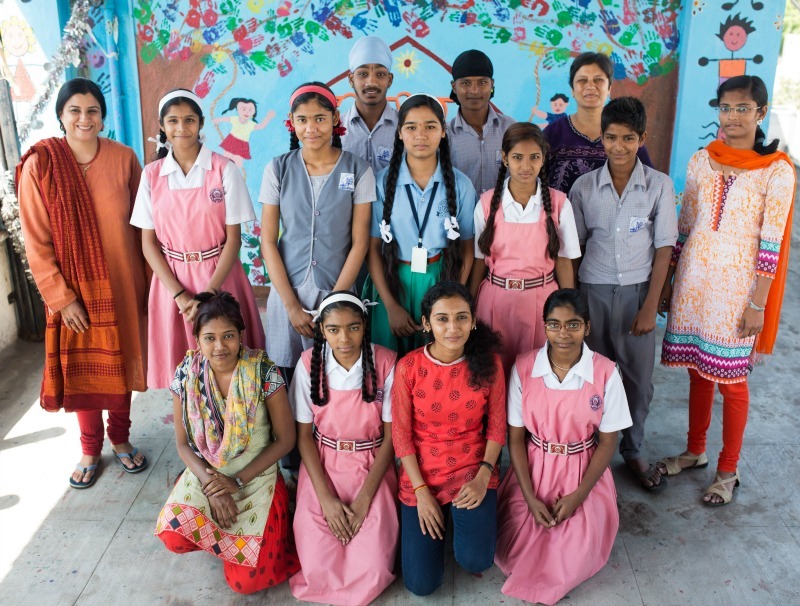 Of these 13 girls and 8 boys, many are struggling with extremely challenging circumstances. Two of the girls are former child brides (one widowed, one fled her husband); one had given birth to her second child less than two months prior to the start of exams. Another student’s father broke his back resulting in paralysis shortly before exams started. Another student had just barely hung in school all year (having already had a disrupted education and dropping out previously) as her family is not supportive of education and community members scorn educated girls. Still another student’s mother fought breast cancer this year and this student was forced to miss many days of school because her father is deceased and she had to stay by her mother’s side in the hospital instead of attending school. These are the day-to-day realities that AIC’s students go home to at night, and AIC staff work valiently alongside them to provide the support necessary to give them a fighting chance at success. Hence it was with some trepidation that the staff and students logged in to check the results of the exams, but we soon realized that we didn’t need to be worried: 20 of our 21 students passed their exams and are now secondary school graduates! Most impressively, too, this year’s group achieved the three highest scores in AIC’s history. We are so proud of these hardworking students, and of our dedicated teaching and counseling staff who went above and beyond to ensure their success. Finally, these achievements wouldn’t have been possible without the support of so many generous donors and well-wishers, and for that we thank YOU as well. We look forward to sharing more updates about our new high school graduates’ upcoming college and employment journeys in the days to come!